Delhi has been put on a high alert after the intelligence agencies informed the Special Cell of Delhi Police that two Jaish-e-Mohammad terrorists had entered the National Capital. Delhi Police has issued posters of the suspects and circulated it across the state and has asked the public to inform the police if they spot anyone of them or both. The advisory issued by Delhi Police read: “Anybody who spots them (terrorists) is requested to call Paharganj police station on 011-23520787 or 011-2352474”. 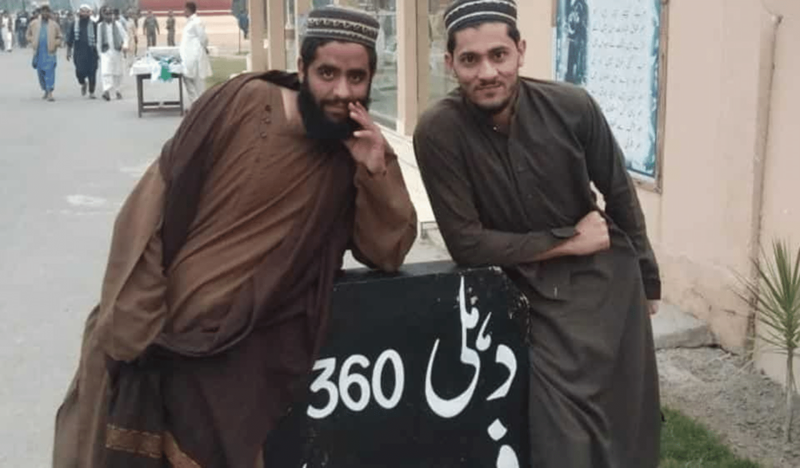 The photo in the advisory shows the two terrorists posing next to a milestone near the India-Pakistan border, showing the distance to Delhi and Firozepur. This advisory comes four days after Punjab was put on high alert, following a note issued by Punjab’s police counter-intelligence wing, which said that about 6 to 7 JeM terrorists were reportedly spotted in Punjab and were planning to move towards Delhi. And it also said that there is a need to review and strengthen the second line of defence along the India-Pakistan border and coordinate closely with the Border Security Force and other defence establishments in the concerned areas. The note had come after a taxi was overtaken on gunpoint by four people around 11:30pm on November 13th, 2018. Entry points on Metro stations, and other populated areas, like markets, have been stepped up currently in the city. The danger is also high since today is Milad-un-Nabi and the two terrorists may be planning for an attack in the densely populated places like, Paharganj or maybe Chandni Chowk. The state of Haryana is also on alert. Just a few days ago, a bomb blast occurred in Amritsar on Sunday, in which three people died, and over a dozen were injured. Please pay attention to this advisory and if you happen to spot these two, wherever possible, just call on the number provided. Famous quotes by great philosophers that will make you introspect and think!